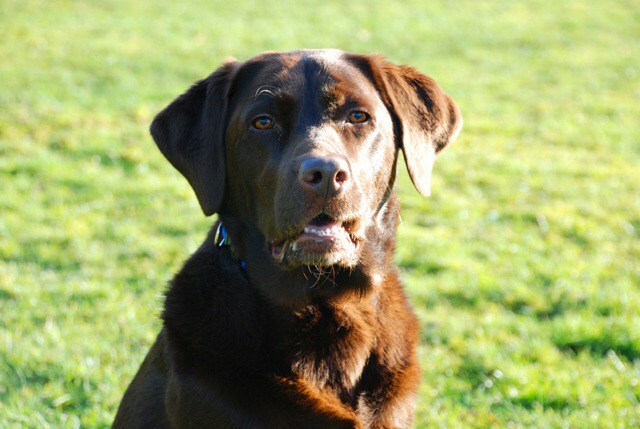 Please find below a selection of testimonials received from our canine customers. Click here to read our testimonials from our equine customers. 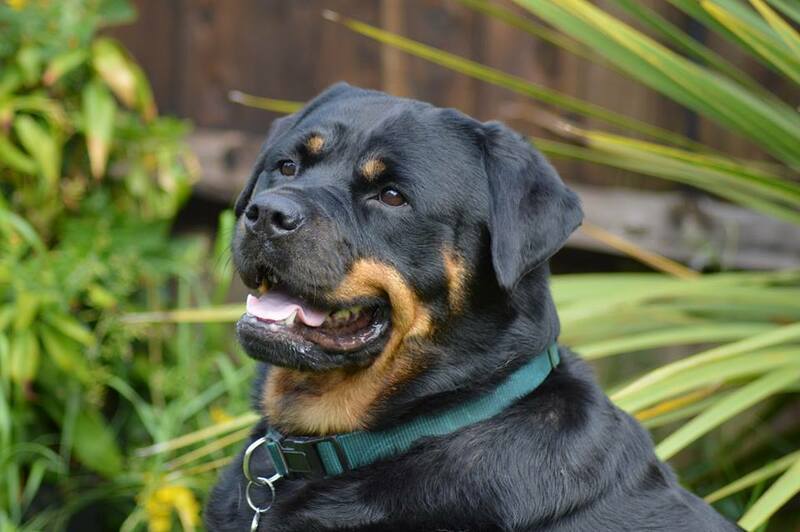 “I bought the magnetic collar for my four year old Rottweiler, Ruby who suffers from arthritis and hip dysplasia as well as a neurological disease. Within a few days of wearing the collar I noticed that she was becoming more mobile. Previously she had only managed two small walks a day and would be fast asleep when we got home. After a month of wearing the collar she became more energetic. Now she manages three longer walks every day, is less tired and much more playful. She is also able to jump up at the window and into the car boot, something she had been unable to do for the previous nine months! Ella’s had superb results with her magnetic collar. She’s a tail wagging testimony! Ella’s part of the Canine Magnetix family and this special dog is the reason why we started the business. Ella was diagnosed with elbow dysplasia and arthritis when she was only 12 months old. Today she’s as active as ever and you would have no idea she has arthritis in 3 legs! Ella is now 5 years old and an incredible testimony. For a short period of time I borrowed her magnetic collar for my other dog Jake. Ella became stiff and when I put it back on her within a few days she’d stopped limping. This was the only evidence I needed to know that Magnetic Therapy works! Please find below a selection of testimonials from our equine customers. Harvey pictured wearing his magnetic ankle boots. 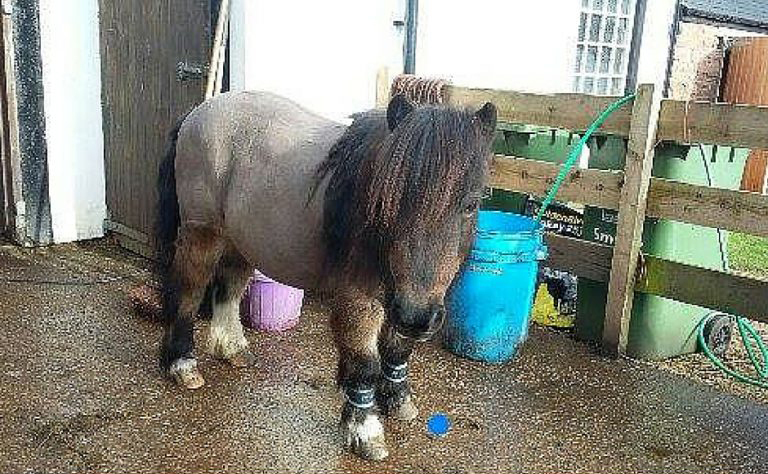 He’s gone from barely able to walk to cantering around his little paddock! ‘Hello, just wanted to say I bought the ankle boots about a month ago, and I have to say a massive thank you. These have been the best thing I have ever bought for my very laminitic shettie. I can’t believe the difference it has made with him, he has gone from barely able to walk to cantering around his little paddock. So pleased with the results. Polly turns 24 years young in May and has a condition known as Nuchal Ligament Bursitis. Zoe her owner has sent a lovely photo of Polly and says ‘My mare is loving her magnetic neck piece. The lump in her neck seems to have reduced, and she doesn’t twitch/flick half as much as she did when she first injured her neck. Thanks very much Zoe for getting in touch and we’re really pleased Polly is doing so well! Here’s Remi featuring all the way from New Zealand! He looks fabulous wearing the full Equine Magnetix kit. 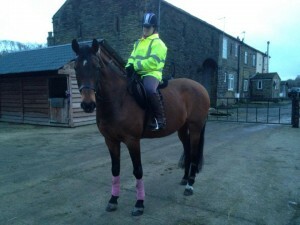 Remi is a 10 year old English Riding Pony x TB. 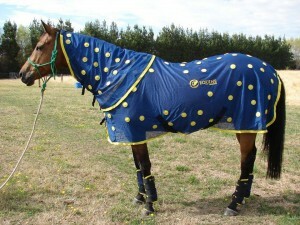 The Equine Magnetix rugs and boots are a great way to keep your horse supple and to help them cool down slowly after exercise. Thanks very much Jo for being such a lovely customer and we wish you and Remi well for your 2015 eventing season! This is Daffyd and he’s 24 year old this month (March 2015). Daffyd loves life and competes in dressage. He survived cancer two years ago. ‘The boots make such a difference we put them on our old boy for an hour yesterday before dressage and he was second in a class of 20 not bad for a 23 yr old! Dora says ‘The oldies love their rug, you can feel a warmth from them also it’s great for under rug travelling it helps to loosen cold tight muscles you can see a looser more relaxed movement. Thank you will hopefully get another shortly’. Thanks very much to Dora for sending in such a lovely photo. Great to hear Daffyd’s giving the youngsters a run for their money! Rica is originally from Portugal and she suffers from arthritis in her knees and hocks.Rica didn’t have the best start in life as she had been badly treated and nearly starved to death. She was rescued by a riding club in Portugal. Whilst Donna was over there she fell for Rica and when she returned to the UK Rica came too! Today Rica suffers from arthritis in her knees and hocks. Donna use the magnetic ankle boots and magnetic rug. Rica’s responded so well she’s being ridden again! 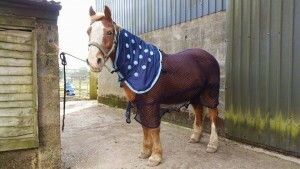 Inik is cold backed and since wearing his Equine Magnetix rug Charl has noticed a massive difference.’It’s been a few weeks now since I bought my magnetic rug from you. I’d just like to thank you so much for offering such an amazing product. My horse is so much easier to girth up and has really helped with his cold back issue. When I get on I feel he is easier to warm up, and so much more soft relaxed and supple. Since he’s been wearing his rug I feel that his work has come on leaps & bounds and I’m really enjoying working him. 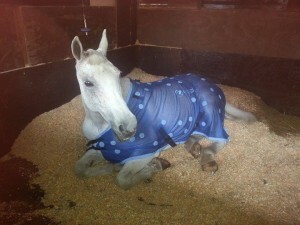 Again thank you… a very happy horse & customer!! 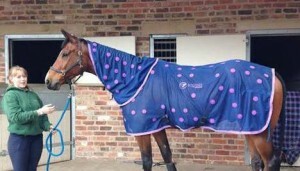 ‘I purchased an Equine Magnetix Rug in October 2013 and can not believe the difference it has made to my horses! 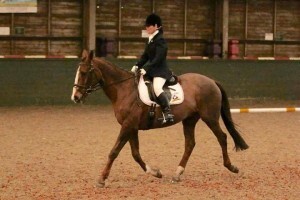 Reggie (shown in the picture) has had a winter of dressage. Previously he had been very tense and found competitions quite a worry. I now travel him in the rug to competitions and he is considerably more chilled and has performed much much better.